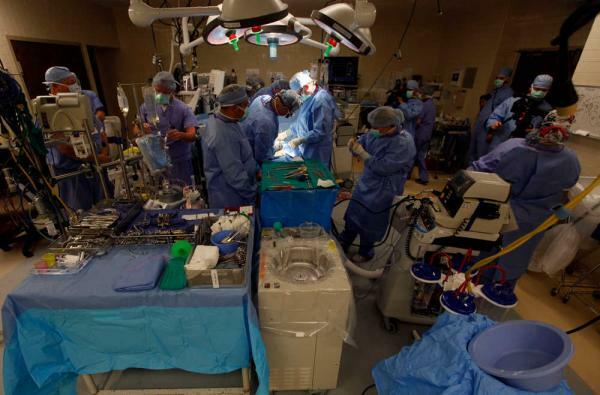 I want to share this metaphor of the prayer team as the staff in an operating room. The key to effective TEAM PRAYER MINISTRY is not what we bring to the prayer circle. It’s our willingness to invest in each other once we take our seats. It takes time, effort, trust, humility and openness to serve on a team like the staff in the operating room. When we get the call to intercede, we cannot second-guess another’s sight, hearing, sense, or qualifications. Victory comes from the team effort, not passing the scalpel or releasing the prophecy. Look at this team in the photo. Each has a place to stand and work. In intense cases, some stand as backup or relief for the frontline folks. These days, prayer teams are rare as people want to brag on the “burden” they carry and does not want to agree with the team. It’s unfortunate, as there is an even distribution of weight in the team dynamic. All need not be the single burden carrier because the team feels it. We know in part, so when we get to the prayer circle we put our puzzles pieces together and get the composite word from the Lord. Thank God for the teams I served with and how wonderfully the Lord taught us this lesson. So, prayer team leader, you are not “it” every week. That’s not the need. And prayer team member, Holy Spirit stations us as He will. Stay encouraged. Avoid the critical spirit of judgment and serve well…IN THE TEAM. SELAH, and love to all. Pray well. This is a beautiful and insightful read on the Intercessory Team. Thank you for sharing! !